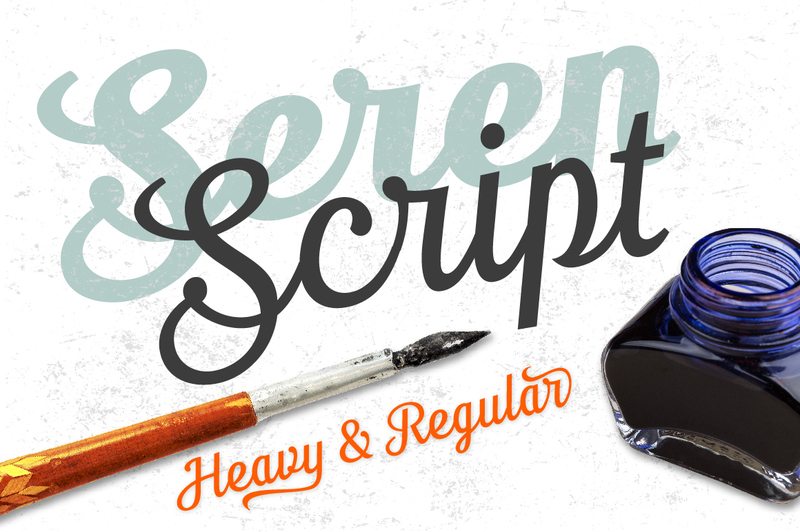 Seren Script is a set of two script fonts. Seren is a retro font that contains 430 glyph, the OpenType feature can be used to create your own custom typo and design. Very useful for t-shirts, banners, posters, etc. 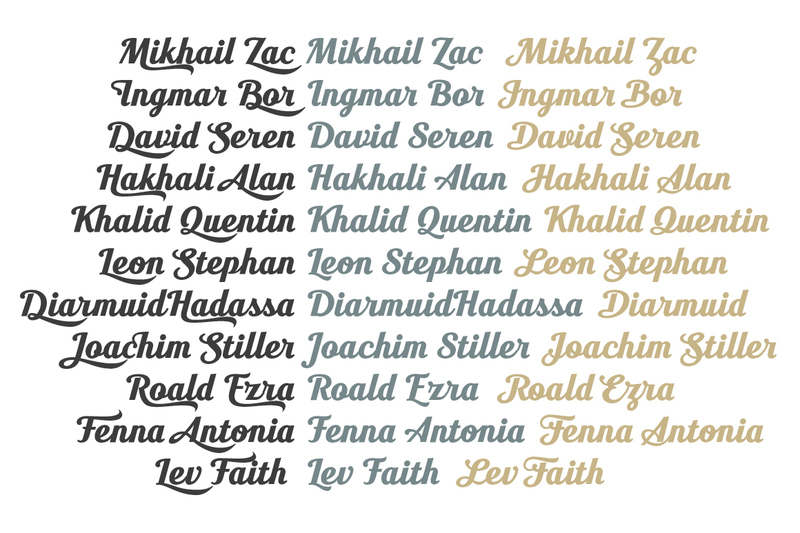 This beautiful TypeFaith Fonts comes with upper and lowercase characters and supports international languages. 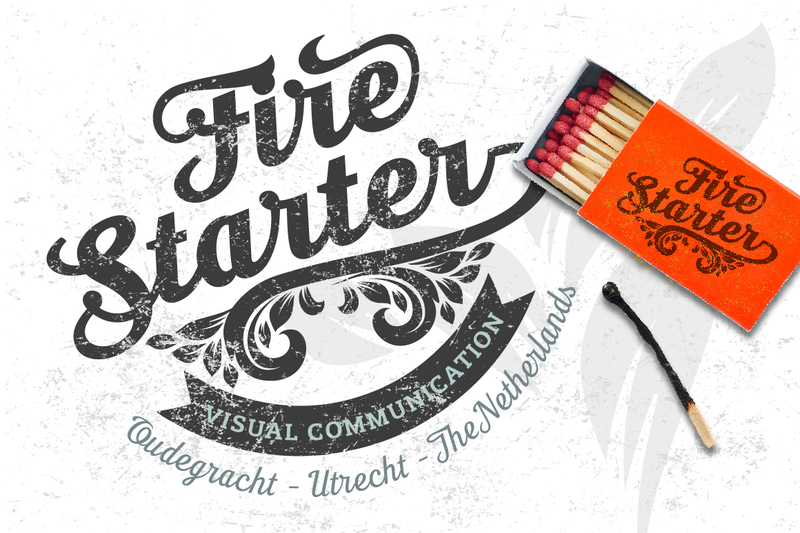 Contextual & Stylistic alternates, Swashes, Finals, Ligatures and Tails. 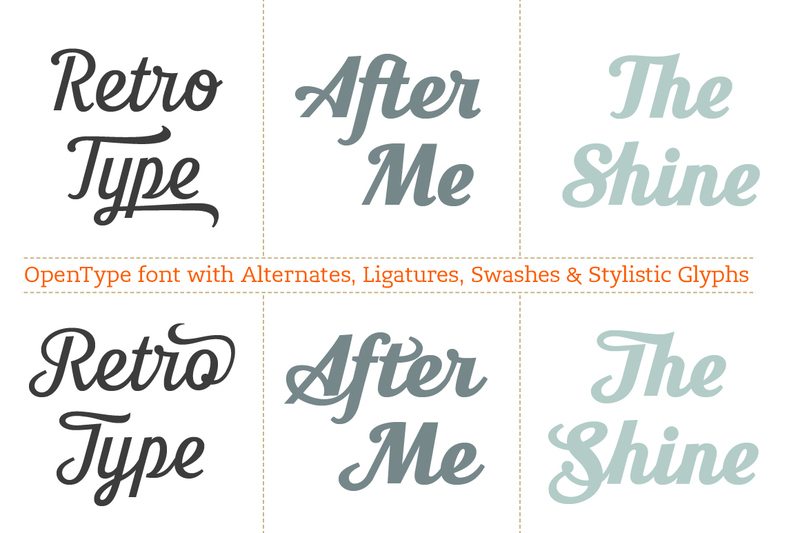 OpenType or Glyph panel is needed to have access to all the glyphs.